99.7 FM K PJM-LP “THE BRIDGE” non-profit FM Radio Station in Payson, Arizona, is the world wide voice of KPJM-LP, Inc., a 501c3 non-profit corporation co-founded by PAMELA NEWMAN and MICHAEL DAY. Our mission is to provide anti-addiction and anti-abuse education to help keep our community’s children from entering into destructive behaviors. We help those families who are caught in those traps and trying to find the way to get out. We provide truthful education, historically proven effective counseling, by treating and correcting THE CAUSE of addictions, instead of attempting to replace the drug addiction with another addiction. We also provide financial assistance and safe shelter to those who are in need of and are ready for our help. 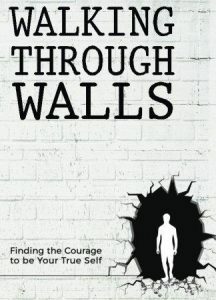 Click on the Walking Through Walls picture or on Elton’s picture next to it below for more information.